This is the Explore theme instruction page. We have tried our best to keep it as simple as possible. If you think it can be made even simpler let us know we will be glad to change it. Let’s start! On the left side, you can see the table of contents of this documentation. Jump to the section you want, or read it all through – your choice. Let’s move on! Installing your theme is pretty easy! After downloading you should have a explore.zip file. This is a compressed file containing all of the required templates and images required for the theme to function properly. All of the options related to the designs part in this theme is available through Appearance > Customize > Design Options. 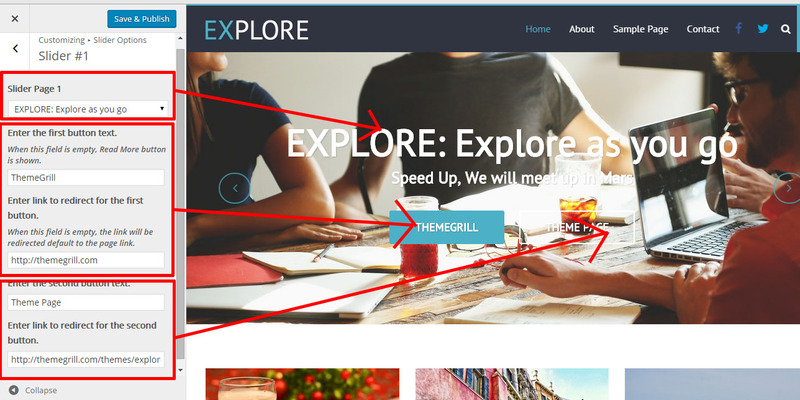 You can choose the layout according to your requirement here to make your site either Boxed layout or Wide layout from this option to best suit your site need. The attached image shows the boxed layout option when choosed. This is the layout option for the archive pages. But, if you overwrite this option by other settings, such as the default layout for post and pages, or added individually for the post or page while creating or editing the post or page, then, this will be overwritten by those. This is the layout option for the pages only by default. 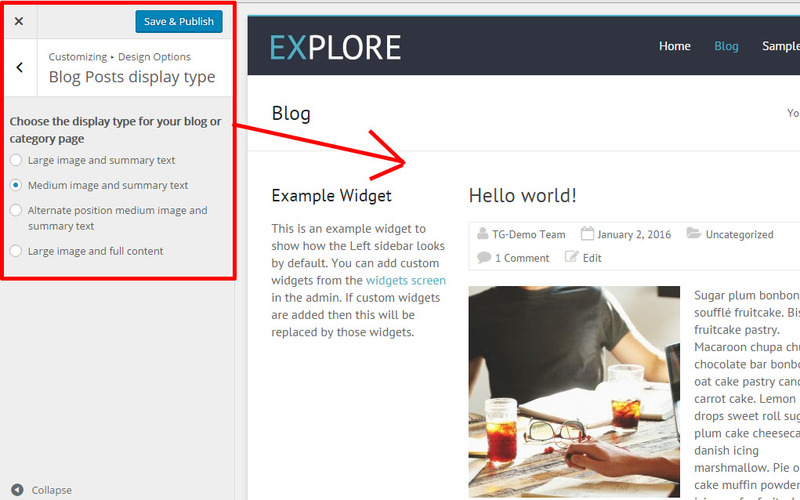 If there is layout option choosen for the individual page, then, this will not have the effect on those pages. This is the layout option for the posts only by default. If there is layout option choosen for the individual post, then, this will not have the effect on those single posts page. This options helps you to change the primary color according to your site requirement. This will effect almost all of the colors, which is best utilized throughout the theme. This options lets you add the Custom CSS code for your site to overwrite the theme’s as well as the plugin’s CSS code to best suit your site requirement. All of the options related to the addional settings in this theme is available through Appearance > Customize > Additional Options. 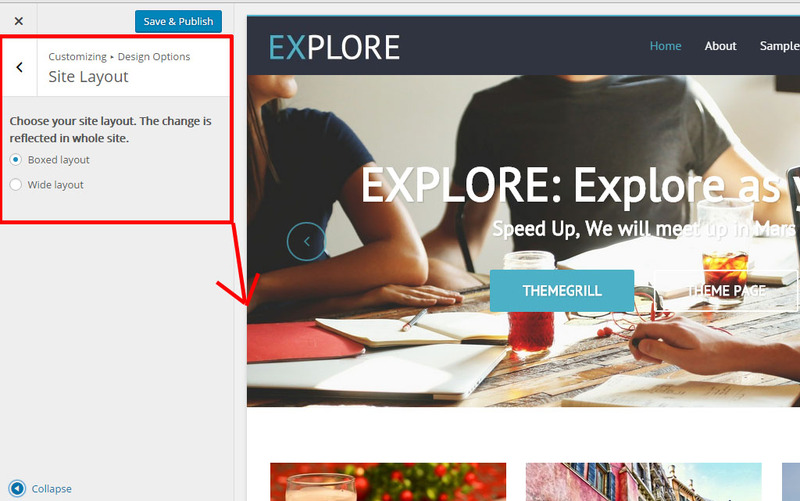 You can choose whether to add the related post in your site either through the tags, or by the category wise, while you activate the related post for your site through this option. 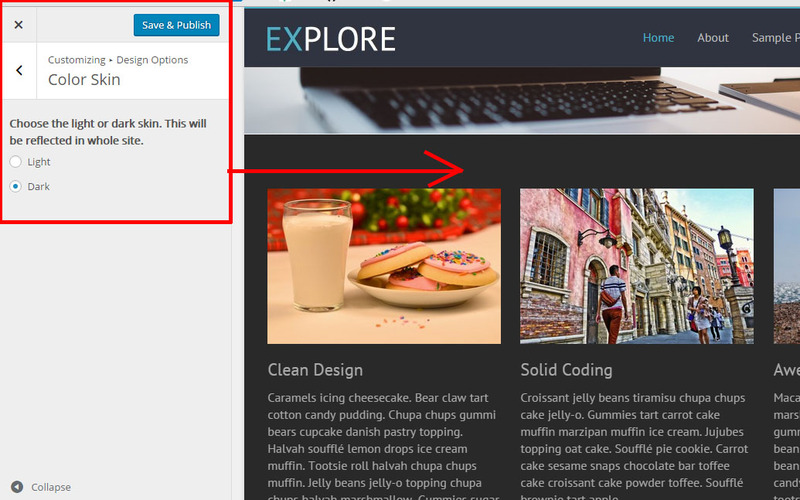 You can choose to either display the featured image in the single post page or remove it completely from the single post page, by choosing the option from here. If you want to have the slider in your site, then, you can enable this option. For this, you can visit Appearance > Customize > Slider Options > Activate Slider section and then check on the checkbox having the option of Check to activate slider. Slider will only be visible if your have setup your front page to be the static page, ie, it will not work when latest post is shown in the home page. Slider Page: Choose the required page for the slider here. Enter the first button text: Add the required text here to overwrite the page text to be shown here. Enter link to redirect for the first button: Add the link here to link the first button to other pages, rather than the page itself. Enter the second button text: Add the required text here for the second button. Enter link to redirect for the second button: Add the required link for this button to link to any place as required for your site here. Our theme has the bundled widgets present inside it to make your site look beautiful and appealing. This theme has bundled the services widget in it to display some of your pages as services which is granted by your site. For this to work properly in your site, you can create a new page, with the Business Template selected for that page and assign that page to be the static front page. 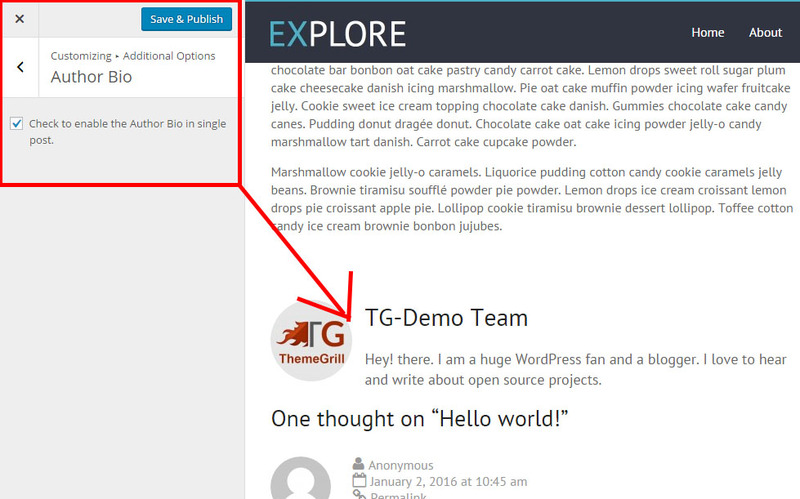 Now, choose the TG: Services widget there from the widgets list. After all of the process has been completed, just click on the Save & Publish button. You need to have the featured image in those pages in order to display the images in this widget. Also, you can add the custom excerpt for this, to make the text appear as your choice in the front-end.